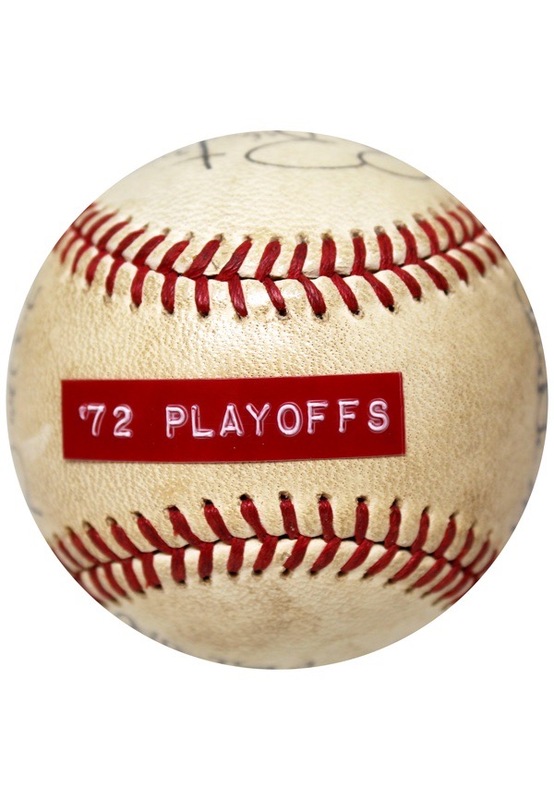 Used in Game 5 of the 1972 NLCS, this baseball owns the distinction of having been used in the last game Roberto Clemente ever played. 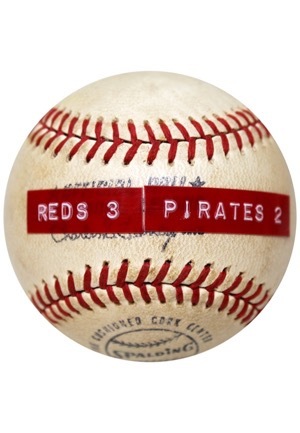 Clemente recorded what would be his final hit of his Hall of Fame career during the game. 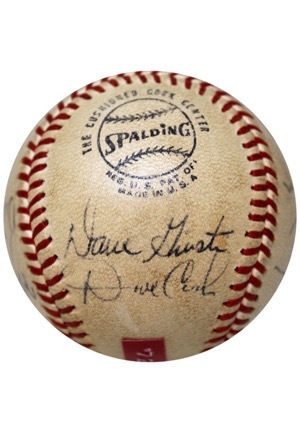 Just over two months after playing in that NLCS, Clemente died in a plane crash. 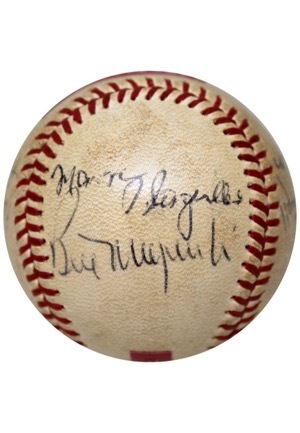 He had been on a humanitarian mission to deliver aid to victims of an earthquake in Nicaragua.The ball comes straight from the Cincinnati Reds' gift shop which was part of the stadium in the 1970s. 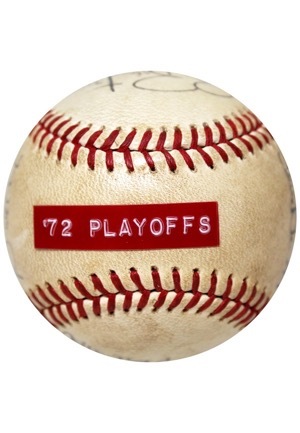 On the ball is the familiar red-raised lettering and reads "72 Playoffs" on one side and "Reds 3 Pirates 2", which was the series score on the other. 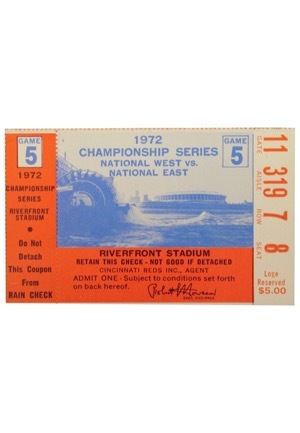 Also included is a ticket stub from the game. 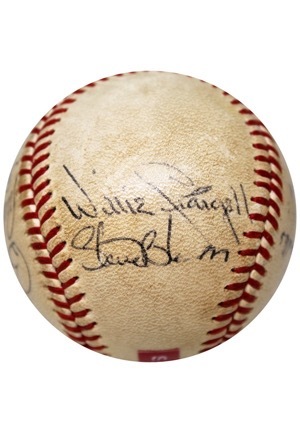 The ball is signed by nine players of the team and in our opinion the signatures rate between 6-8. 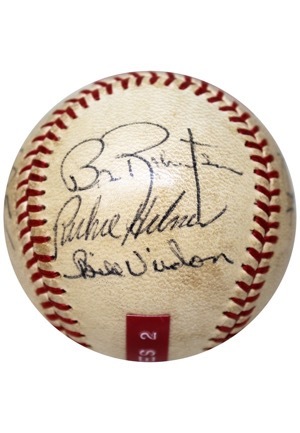 Accompanied by a LOA from JSA.